TECHNOLOGY-All That Matters Today: Why is social networking important? Hello folk, we meet once again, with something little non technical today. Yes, you are right, today we are going to discuss the importance of social networking in our day to day life. 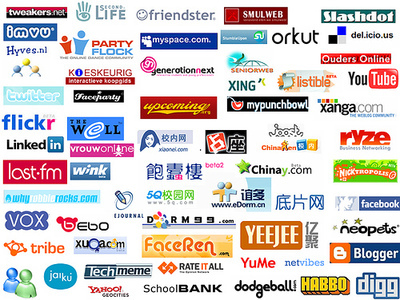 I wonder how our life is changed these days by websites like facebook, orkut, twitter etc. These websites have become an integral part of our lives. These websites help you stay connected with your friends, colleagues, old school-mates. These giants are now a days called social networks. I go to office in the morning at around 9. 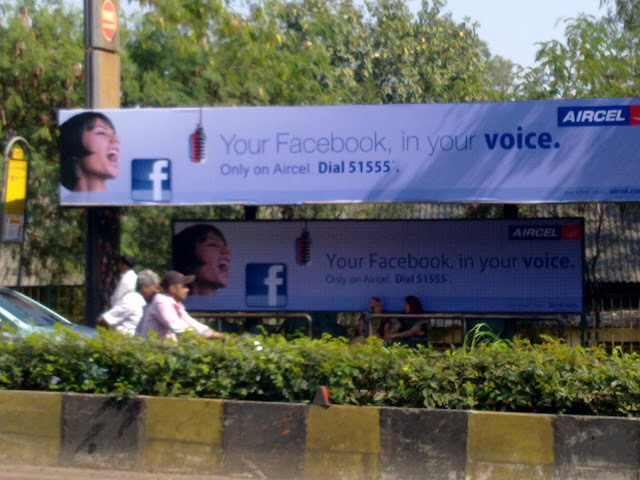 I always stare at the advertisement of Aircel which I get to see on the way down to my office, shown in the picture below. The mobile telephony service provider Aircel, and might be many others, are taking help os such socail networking websites to reach a more customers, promote their products and harness the potential of social networking. I can explain you all this in simple words. Take this situation, I write a blog post here at the4thdimension. I embed some code so as to publish the Facebook like button at the bottom of this blog post. Then some visitor, say 1 of 10 likes this blog post. The like appears on his wall which is then seen by others. The other people in his connections come and read this blog post. This is how I get more visitors. The same way companies like Aircel, Engadget, TechCrunch and many more make use of social networking websites to promote their services and products.